Ultrasonic extraction and malaxation increases the yield during avocado oil production. Sonication is a gentle non-thermal process and thereby is appropriate to produce the highest grade of avocado oil. The ultrasonically assisted oil pressing improves yield, maintains high oil grade and increases the oil extraction significantly. Ultrasonic extraction is a well established process to produce high quality edible oils (e.g. olive, flaxseed, grape seed, algae, coconut etc.) as well as active compounds (e.g. phytochemicals, antioxidants, vitamins, colorants etc.). To maintain the nutritional quality of the plant raw material, a mild and non-thermal extraction technique is crucial. Ultrasonic extraction and malaxation is a non-thermal treatment, which increases yield whilst preserving the phytochemical structure of the extract. Ultrasonic processing assists the cold-pressing of avocado oil by increasing the oil yield. The non-thermal pressing technique results in avocado oil that retains its valuable nutritional composition, full-flavoured aromatics, and intense emerald green color. Ultrasonic malaxation and extraction of avocado pulp improves the oil release and potentially decreases the malaxation time in industrial avocado oil production without having quality impacts. Carefully ultrasonically pressed avocado oil maintains – in contrast to warm-pressing procedures – all its healthy nutritional compounds such as vitamin, enzymes, micronutrients, and flavor components. The production of avocado oil is very similar to the production of olive oil. Avocado oil is produced from de-pitted and de-skinned avocados. For the oil pressing process, only the avocado flesh (puree or pulp) is used. Afterwards, the flesh is ground to avocado pulp and then malaxed for approx. 40-60 minutes at 45-50°C. The ultrasonic processor can be easily integrated into any existing oil pressing line in order to improve the oil extraction so that a higher amount of oil from same amount of the raw material is recovered. Besides the production of cold-pressed high-quality edible oils, sonication can be applied to the downstream processing of the avocado oil, e.g. by emulsifying the avocado oil with water-based components for salad dressings, sauces or even cosmetic products. Click here to learn more about ultrasonic emulsification! 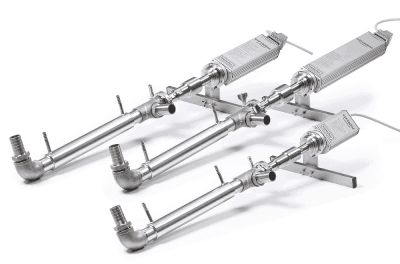 Hielscher Ultrasonics supplies ultrasonic processors and extractors for the production of high quality edible oils. Hielscher’s ultrasonic systems can be easily integrated into the pressing / malaxation lines of extra virgin and virgin avocado oils. 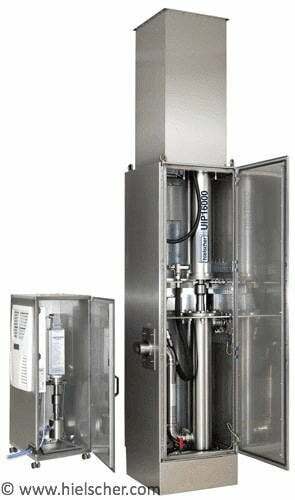 For the integration into the pressing line of avocado or olive oil, Hielscher’s UIP2000hdT (2kW) or UIP4000hdT (4kW) are the most frequently chosen systems. They are equipped with sonotrodes and flow cell reactors accordingly to to the raw material (avocado pulp) and processing capacity. All our ultrasonic systems are built for the 24/7 operation under demanding conditions. Fulfilling industrial grade, Hielscher`s ultrasound transducers can be installed in dusty and/or moist environments. Hielscher Ultrasonics’ industrial ultrasonic processors can deliver very high amplitudes. Amplitudes of up to 200µm can be easily continuously run in 24/7 operation. The robustness of Hielscher’s ultrasonic equipment allows for 24/7 operation at heavy duty and in demanding environments. Contact us today to discover the benefits of ultrasonically assisted avocado oil pressing! Dreher, Mark L.; Davenport, Adrienne J. (2013): Hass Avocado Composition and Potential Health Effects. Crit Rev Food Sci Nutr. 2013 May; 53(7): 738–750. Gutte, Krishna B.; Sahoo, Akshaya K.; Ranveer, Rahul C. (2015): Effect of Ultrasonic treatment on extraction of fatty acid profile of flaxseed oil. Oilseeds & fats Crops and Lipids, 2015. Hashemi, Seyed Mohammad Bagher; Khaneghah, Amin Mousavi; Akbarirad, Hamid (2016): The Effects of Amplitudes Ultrasound-Assisted Solvent Extraction and Pretreatment Time on the Yield and Quality of Pistacia Khinjuk Hull Oil. J. Oleo Sci. 65, (9) 2026. 733-738. Liu, Dan; Vorobiev, Eugène; Savoire, Raphaëlle; Lanoisellé, Jean-Louis LANOISELLÉ (2011): Extraction of polyphenols from grape seeds by unconventional methods and extract concentration through polymeric membrane. 11th International Congress on Engineering and Food (ICEF) Athens, Greece. May, 22-26, 2011. Sicaire, Anne-Gaëlle; Abert Vian, Maryline; Fine, Frédéric; Carré, Patrick; Tostain, Sylvain; Chemat, Farid (2016): Ultrasound induced green solvent extraction of oil from oleaginous seeds. Ultrasonics Sonochemistry Vol. 31, 2016. 319-329. Ultrasonic extraction (also referred to as sono-extraction) is a well-known, reliable method to release components from biological material (e.g. oils, essential oils, aromatics, antioxidants, nutritional compounds). Ultrasonically generated cavitation perforates or breaks the cell wall so that the intracellular material – e.g. valuable compounds auch as oils, flavours, vitamins, colorants – are released. 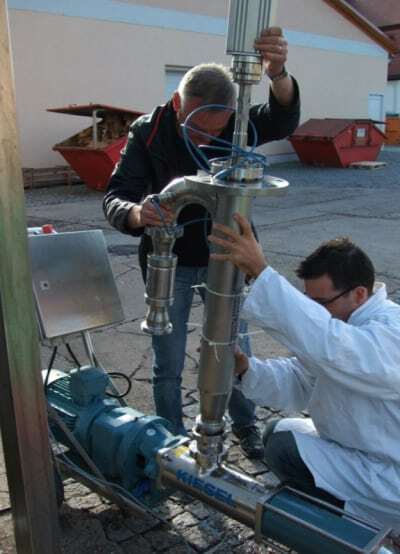 Ultrasonic extraction is a highly effective and efficient method and is widely used to extract in the commercial production of oils and active substances from plant material (e.g. fruits, herbs, nuts, seeds, leaves) for the production of supreme plant extracts for the pharmaceutical, nutraceutical, cosmetic, and food industry. The production of avocado oil is very similar to the production of olive oil. To obtain avocado oil, ripe avocados are peeled and the stone (seed) is removed. Afterwards, the flesh is ground to avocado pulp and then malaxed for approx. 40-60 minutes at 45-50°C. Like extra virgin olive oil, cold-pressed avocado oil is unrefined and so retains the flavor and color characteristics of the fruit flesh. Avocado oil is graded regarding its quality: Besides extra virgin avocado oil, other grades such as virgin avocado oil, pure (= refined) avocado oil as well as blends are available. All avocado oils, which aren’t extra virgin, are usually extracted at elevated temperatures. For these latter oils, additional process steps and/or chemical solvents are applied to obtain the oil from the avocados. The refining process of vegetable oils influences the oil’s smoke point, shelf-life & stability, color, flavor, acidity as well as the composition (nutritional profile). During the refining process, natural waxes are stripped from the avocado oil. This leads to a higher smoking point. Avocado oil has an exceptional high smoking point: The smoke point of the unrefined oil is 480°F (249°C) and the refined form can withstand temperatures of up to 520°F (271°C). The exact smoke point depends on the quality of oil refinement and the oil handling and storage before its use. Extra virgin avocado oil is the only grade of avocado oil that contains significant amounts of the antioxidant vitamin E. Furthermore, other beneficial phytochemicals and polyphenols are preserved by the gentle cold-pressing resulting in a high quality oil. The avocado fruit (also known as alligator pear) refers to fruit, which grows on the avocado avocado (Persea americana). Botanically, the avocado fruits is classified as a large berry containing a single large seed. There are various types of avocados on the market. The ‘Hass’ is the most common cultivar of avocado. It produces fruits year-round and provides approx. 80% of cultivated avocados for the world market. Other common cultivars of avocado are known as Choquette, Lula, Gwen, Maluma, Lamb Hass, Pinkerton, Reed, Fuerte, Sharwil, Zutano, Bacon, Ettinger, Sir Prize, and Walter Hole. Avocado is often referred to as superfood since it provides a lot of healthy fats, vitamins and micronutrients. Avocados are high in pantothenic acid, dietary fiber, vitamin K, copper, folate, vitamin B6, potassium, vitamin E (α-tocopherol), vitamin C, -carotene and lycopene. They are naturally free from sodium, sugar and cholesterol.